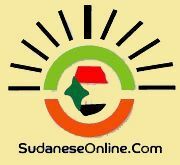 Khartoum, Feb.20 (SUNA) - Foreign Minister, Prof. Ibrahim Ghandour left, Monday, for the Indian capital, New Delhi , , leading Sudan's delegation to the meetings of the Join Sudanese- Indian Ministerial Committee scheduled for Feb 21-22 . Prof. Ghandour is accompanied by the Ministers of Finance, Water Resources, Irrigation and Electricity, Director of Asian Department of the Foreign Ministry, Governor of the Central Bank, Undersecretaries of Investment and International Cooperation besides the representatives of Justice, Oil and Gas, Trade and Agriculture Ministries . The Foreign Minister, during the visit, will convey message from the President of the Republic, Field Marshal, Omer Al-Basher to the Indian Prime Minister dealing with the development of bilateral and cooperation relations following the success of the National Dialogue and the lifting of the US sanctions imposed on Sudan .